'BORN TO DANCE' - The first adventures of Dylan and Red Tabby. In paperback and on Kindle. Dylan de Polka, a handsome chestnut dray horse, pulls a cart for his keep. As he works his head is full of tap-dancing day dreams. A catchy tune is all it takes to set his hooves tapping and bring about disaster. Dylan’s on-the-job dancing day dreams cause him to be sold on and he falls into the clutches of Dangerous Dennis, a ruthless horse dealer. 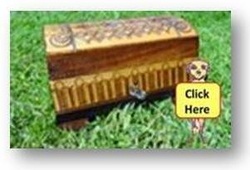 Enter Red Tabby, the worldly-wise ginger cat, who risks her nine lives to rescue her friend from his terrible fate. With Dangerous Dennis and his sidekick, Clumsy Golightly, hot on their trail, the two friends are forced to leave behind their familiar world and find a new life. When the pair stumble upon the Happy Days Circus, it seems the perfect refuge. had woken to find themselves abandoned. Now, to save themselves Dylan and Red Tabby must, somehow, save the circus. And that’s only the beginning of their adventures. 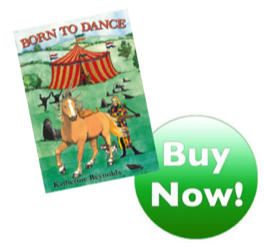 'Born to Dance' tells a classic,timeless tale of friendship, adventure, and triumph. This is where the great friendship of Dylan and Red Tabby begins! "I really hope you do another book soon and please tell me if you do, so I can buy it." "Are you going to write a second 'Born to Dance'? If you are, could you let me know because I would definitely like to find out what happens next?" "The important question / request is 'Please, Please, Please could you write 'Born to Dance' II?"